Tools which are optimized for data matching, including deduplication of party master data, will often shoehorn your party master data into a data model feasible for that. When it comes to multi-domain MDM we will deal with entities that are not common to everyone. Here a capability to build your model in the MDM tool is needed. One such tool I have worked with is Semarchy. Here semi-technical people are able to build and deploy incrementally more complex data models, that are default equipped with needed functionality around handling a golden copy and auditing data onboarding and changing. Product Information Management (PIM) requires that your end users can build the model on the fly, as product data are so different between product groups. This model resembles the data model in most PIM solutions (and PIM based MDM solutions), except that we have the party and their two-way partnerships at the top, as Product Data Lake takes care of exchanging data between inhouse PIM solutions at trading partners participating in business ecosystems. Party and product are the most frequent master data domains around. Often you meet party as one of the most frequent party roles being customer and supplier (or vendor) or by another term related to the context as for example citizen, patient, member, student, passenger and many more. These are the people and legal entities we are interacting with and with whom we usually exchange money – and information. Product (or material) is the things we buy, make and sell. The goods (or services) we exchange. In my current venture called Product Data Lake our aim to serve the exchange of information about products between trading partners who are customers and suppliers in business ecosystems. For that, we have been building a data model. Below you see our first developed conceptual data model, which has party and product as the core entities. As this is a service for business ecosystems, another important entity is the partnership between suppliers and customers of products and the information about the products. The product link entity in this data model is handling the identification of products by the pairs of trading partners. In the same way, this data model has link entities between the identification of product attributes at pair of trading partners (build on same standards or not) as well as digital asset types. If you are offering product information management services, at thus being a potential Product Data Lake ambassador, or you are part of a business ecosystem with trading partners, I will be happy to discus with you about adding handling of trading partnerships and product information exchange to your current model. What is Best Practice: Customer- and Vendor- or Unified Party Master Data Management? “I’d like to hear back from anyone who has implemented party master data in either a single, unified schema or separate, individual schemas (Vendor, Customer, etc.). This is a classic consideration at the heart of multi-domain MDM. As I see it, and what I advise my clients to do, is to have a common party (or business partner) structure for identification, names, addresses and contact data. This should be supported by data quality capabilities strongly build on external reference data (third party data). Besides this common structure, there should be specific structures for customer, vendor/supplier and other party roles. This subject was also recently examined here on the blog in the post Multi-Side MDM. What is your opinion and experience with this question? Please have your say either here on the blog or in the LinkedIn Multi-Domain MDM Group. In my experience looking at the real world will help a lot when making data models that can survive for years and stand use cases different from the one in immediate question. I’m not talking about introducing scope creep but just thinking a little bit about how the real world looks like when you are modelling something in that world, which usually is the case when working with Master Data Management (MDM). A challenge within many disciplines is easily to explain what the discipline is about and that certainly is true for Master Data Management (MDM) too as we often have the question: What is master data? “The description of the who, what and where in transaction data”. “Information that is key to the operation of a business”. “The consistent and uniform set of identifiers and extended attributes that describes the core entities of the enterprise”. The latter one I would not try on friends and relatives though. Will Graph Databases become Common in MDM? 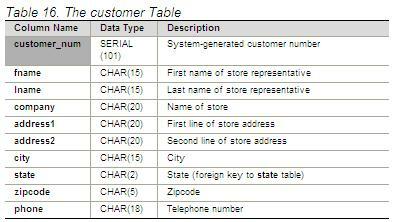 One of my pet peeves in data quality for CRM and ERP systems is the often used way at looking at entities, not at least party entities, in a flat data model as told in the post A Place in Time. 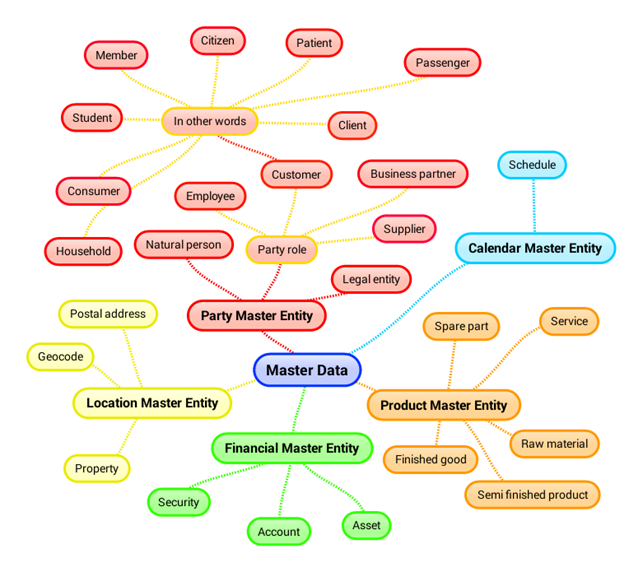 Party master data, and related location master data, will eventually be modeled in very complex models and surely we see more and more examples of that. For example I remember that I long time ago worked with the ERP system that later became Microsoft Dynamics AX. Then I had issues with the simplistic and not role aware data model. While I’m currently working in a project using the AX 2012 Address Book it’s good to see that things have certainly developed. 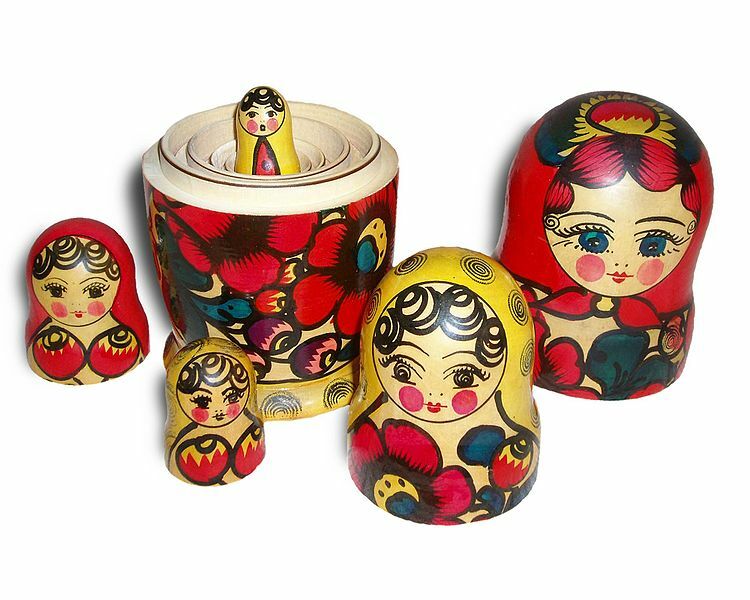 This blog has quite a few posts on hierarchy management in Master Data Management (MDM) and even Hierarchical Data Matching. But I have to admit that even complex relational data models and hierarchical approaches in fact don’t align completely with the real world. In a comment to the post Five Flavors of Big Data Mike Ferguson asked about graph data quality. In my eyes using graph databases in master data management will indeed bring us closer to the real world and thereby deliver a better data quality for master data. I remember at this year’s MDM Summit Europe that Aaron Zornes suggested that a graph database will be the best choice for reflecting the most basic reference dataset being The Country List. Oh yes, and in master data too you should think then, though I doubt that the relational database and hierarchy management will be out of fashion for a while. So it could be good to know if you have seen or worked with graph databases in master data management beyond representing a static analysis result as a graph database. Using postal addresses is a core element in many data quality improvement and master data management (MDM) activities. In addition to that the postal code (postcode or zip code) is part of many address formats. Seen in the hierarchical light the postal code is a tricky concept as it may identify a city, district, thoroughfare, a single building or even a given unit within or section of a building. The latter is true for my company address in the United Kingdom, where we have a very granular postcode system. The region is an element in some address formats like the states in the United States and the provinces in Canada, while other countries like Germany that is divided into quite independent Länder do not have the region as a required part of the postal address. The same goes for Swiss cantons. I once read that if you used the label city in a web form in Australia, you would get a lot of values like: “I do not live in a city”. Anyway this level is often (but as mentioned certainly not always) where the postal code is applied. The postal code district may be a single town with surroundings, several villages or a district within a big city. Most countries use thoroughfares as streets, roads, lanes, avenues, mews, boulevards and whatever they are called around. Beware that the same street may have several spellings and even several names. Japan is a counterexample of the use of thoroughfares, as here it’s the blocks between the thoroughfares that are part of the postal address. Usually this element will be an integer. However formats with a letter behind the integer (example: 21 A) or a range of integers (example: 21-23) are most annoying. And then this British classic: One Main Grove. OMG. This element may or may not be present in a postal address depending on if the building is a single family house or company site, the postal delivery sees it as such or you may actually indicate where within the building the delivery goes or you go. The ups and downs of this level are examined in the post A Universal Challenge.